If you are looking for a better alternative to traditional vinyl windows, you may want to consider quality fiberglass window replacements. At Custom Installations, we are proud to offer the leader in the fiberglass window industry – Beechworth Windows. Beechworth combines the strength and durability of fiberglass with the beauty of real pine wood. When choosing Beechworth Windows for your replacement needs, you can be confident that you are selecting a premium product for your home. Every window comes custom fit to each of your openings. They are available in all the popular window styles from double hung to slider and awning. Beechworth Windows rich wood interiors make these new replacements seamlessly fit with your existing design creating a more custom feel within the home. There are many reasons why homeowners choose fiberglass windows over traditional vinyl units. Fiberglass is a natural insulator and does not conduct heat or cold making it an energy efficient choice. It also does not expand or contract with temperature fluctuations reducing the stress on both the window and surrounding area. 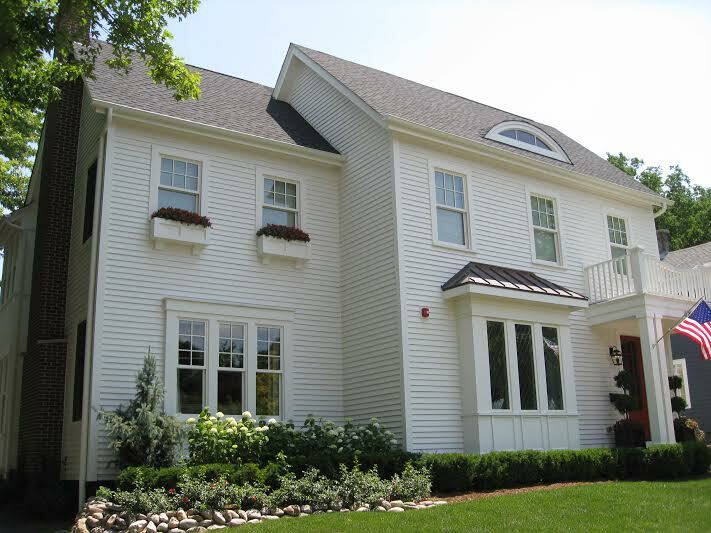 Fiberglass is a low maintenance option that offers unbelievable durability and strength. Every homeowner should feel like they are making the right decision when selecting their window replacements. When choosing Beechworth Windows, you can be confident with your decision. They offer a 20 year warranty on manufacturer defects and a 15 year warranty on function and operation. Owned and operated by James Hardie Building Products, all materials and windows are carefully crafted in the United States. Not just anyone can install the Beechworth Window product line. To ensure customers receive the best care possible, the James Hardie company hand selects their local contractors. Custom Installations is honored to be a trusted partner in the Chicago area. Our team has extensive knowledge of the Beechworth Window product line ensuring you receive the quality installation you deserve. To learn more about the Beechworth brand of quality window replacements, contact our team at Custom Installations. We are proud to be Chicago’s leading contractor of James Hardie Building Products including Beechworth Windows.